Food Hub in Charlottesville, VA offers small scale food aggregation. In response to people’s growing awareness and demand for more fresh and local food, we’ve seen a plethora of farmers markets and Community Supported Agriculture (CSAs) spring up in the last decade where farmers get to sell direct to consumers. The next step in scaling up this “good food” movement is to develop the wholesale market for bulk buyers such as restaurants, hospitals and schools, so that more people have access to local, sustainable, and fresh food. Recently big players such as Walmart, national grocery chains and distributors such as Sysco initiated local food buying programs. But for small and mid-size food producers—including local farmers and specialty food producers, as well as small and mid-size food distributors, there are still many barriers in connecting sellers and buyers efficiently, fairly, and profitably. For small and mid-size food sellers, we don’t yet have an efficient infrastructure to get local food to wholesale bulk buyers. On the growers’ side, many new and small farmers don’t have enough continuous supply for the volume needed. 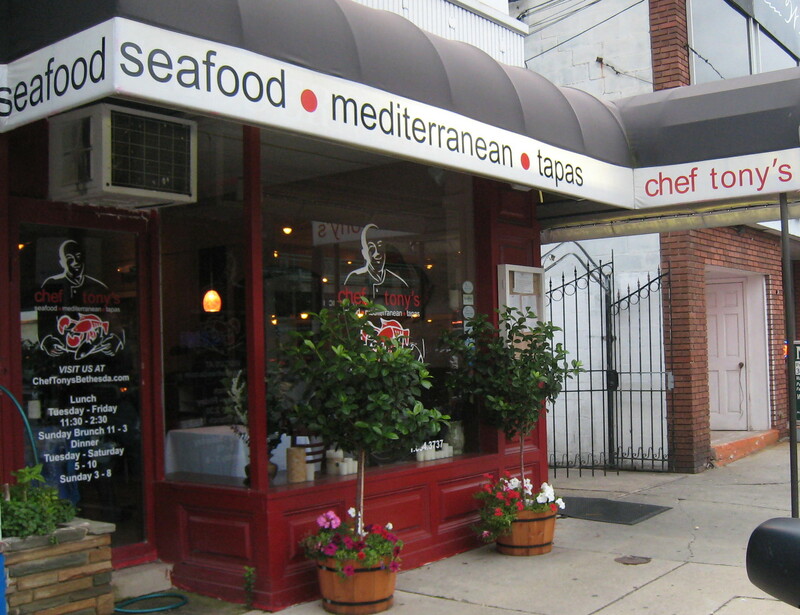 Yamas Mediterranean Grill owner Tony Alexis builds his menus on healthy Mediterranean cuisine. He wants to support local farmers but can’t find a steady supply of ingredients he uses every day. Shannon Varley, Bella Terra Family Farm, a small scale farmer in Montgomery County’s Agricultural Reserve, is so busy between growing food, raising a young family, and finding land for new farmers that she has little time to find new buyers for her meats, vegetables, eggs, and flowers. 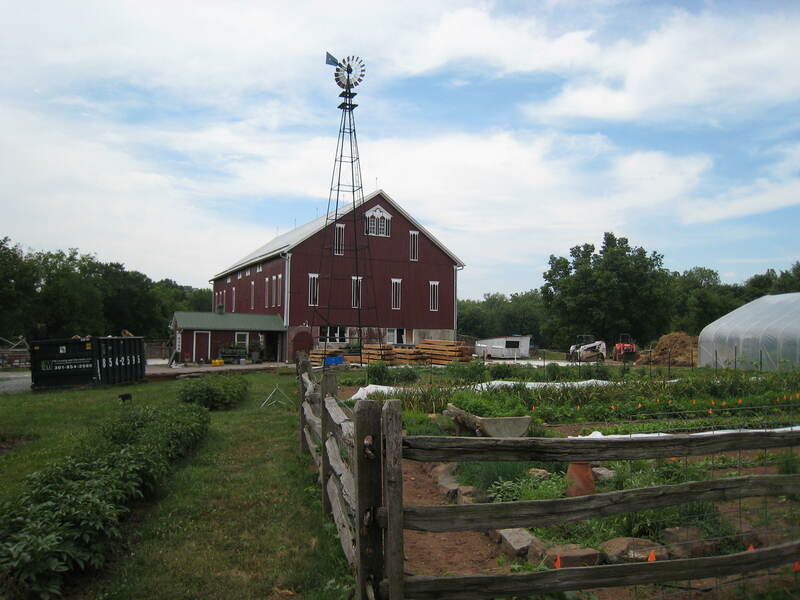 Whitmore Farm, a small scale farm, employs sustainable farming. Kash Rehman knows firsthand about gaps and inefficiencies in food distribution from both seller and buyer perspectives; he worked for a local food distributor in Laurel, MD and owned a restaurant in College Park, MD. As a food distributor, Kash saw inefficiencies in bulk food ordering, which is still mostly taken on paper or is phoned in. “Chefs often work late hours and leave their orders on voice mail. Orders get garbled, delivery mistakes made and redeliveries are inefficient,” explains Kash. Chef Tony Marciante, the chef proprietor of Chef Tony’s Restaurant in Bethesda builds his menus on fresh, seasonal and local foods. There are 561 farms in Montgomery County, but as a small business, he laments, “I don’t have the time or staff to place many individual orders or pick up from many local farms for that night’s menu.” Kash’s experience also points to the current food business where large national food distributors capture a disproportionate share of the food sales market. These barriers and gaps led to Kash’s brain-child to shake up business as usual. Last November he launched Foodem.com, an on-line ordering market place where bulk food buyers, such as hotels, restaurants or caterers, could compare prices from multiple food sellers and place orders electronically. “Foodem is the only business to business (B2B) online wholesale food marketplace that connects food distributors, specialty food manufacturers and farms with wholesale food buyers,” Kash explains. While his impetus for Foodem was built on efficiency and profit, he’s created the digital infrastructure needed to better connect local food producers with local businesses. Aggregating smaller sellers into one, easily accessible online location, could attract more buyers and at the same time, aggregating orders within a compact geographic location could drive prices down—sometimes a formable barrier for small business’s green purchasing. For example, if several restaurants within downtown Bethesda purchased compostable “to-go” containers, volume discounts would make sustainable packaging more affordable. On-line price comparison across multiple sellers also builds transparency into the system. Sellers can’t favor one client to secure their business only to raise pricing on another client. Chef Tony’s Restaurant in Bethesda, MD. As part of DC Tech Week, join us to learn more about our region’s local, sustainable food movement and Foodem’s efforts to build a local food marketplace. Chef Tony will be serving up fabulous seasonal appetizers. Cocktails and appetizers will be available at a discounted price; part of the proceeds will be donated to Montgomery Countryside Alliance, a non-profit dedicated to Montgomery County’s 93,000 acre Agricultural Reserve, the most successful farmland protection effort in the country. Cheryl Kollin, Principal, Full Plate Ventures, will discuss the local, sustainable food movement in our region and the barriers small-producers face in getting their products to market. Kash Rehman, Founder and CEO, Foodem.com, will discuss how this on-line market disrupts conventional supply chain and fills the gap between wholesale food buyers and sellers. Tony Marciante, Chef and Owner, Chef Tony’s Restaurant, will discuss buying local and choosing the freshest ingredients as the basis of his daily menu and how he uses Foodem to buy more local food while streamlining his business.